Want to know a little history or just what’s happening while you’re here and what’s good to eat? 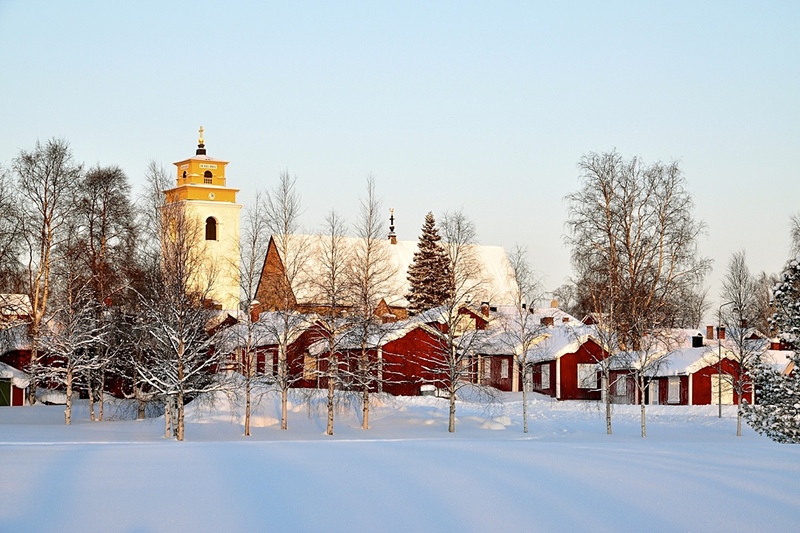 Let us show you downtown Luleå from a locals perspective. Parks, churches and ATM locations – ask your guide anything. We can tailor the tour to suit your needs. We start at your hotel and take you through the inner town and the two harbors before we return you to your hotel. Want to combine fatbike riding and culture? Don´t miss this tour! Take a fatbike tour to the World Heritage site in Gammelstad. We´ll meet at Kungsgatan 2 as your guide takes you from down town to the World Heritage Site Gammelstad Church town. When we reach Gammelstad, we will ride the old narrow streets between the old charming cottages, and if we are lucky we meet a friendly cottage owner who invite us in to have a look inside. The big church is located on top of the “church hill”, and if it´s open for visitors we will make a quick stop in there before we continue to the outdoor museum Hägnan. The tour ends with lunch before we take the bus back to town and your hotel. Included : Fatbike, helmet, and Swedish fika.